The practice of psychic reading dates back to hundreds of years ago. During the ancient times, rulers would often consult psychics before making important decisions. These psychics would study the patterns of stars, the moon, and the sun. This practice still exists even up to today and is now called astrology. Astrology is only one of the many different types of psychic reading. All of which share a common purpose- to guide people in making choices and provide answers to people’s problems. These days, a lot of people still go to psychics to ask for guidance. Phone psychic readings is the new trend. It allows people to connect with a psychic at the comforts of their home anytime they want to. The different practices still exist even up to today. It is helpful to be familiar with these different forms so that you would be able to know which type of psychic can best address your concerns. Astrology attempts to gain insight over a certain question and is one of the oldest forms of psychic readings. The psychic bases on the alignment of the planets, the sun, the moon, and the pattern of the stars. This ancient practice does not require inherent psychic ability like the other forms of psychic reading. Aura reading is another form of psychic reading. Every person is believed to be enveloped by a certain type of aura. An aura is a cloud of energy that can be seen or felt by psychics. Since every person would have a different kind of aura, the psychics will be able to study and interpret one’s aura. The psychic will then be able to learn the nature of the person’s problem or his personality based on the aura he emanates. This will allow the psychic to provide insights to help the person in solving his problem. Palmistry is one of the most popular methods employed by psychics to envision one’s future. This form involves reading and interpretation of a person’s palm. The lines, curves, and wrinkles in a person’s palm is unique. Palmistry does not involve inherent psychic skills. However, this is not a popular method used by telephone psychics since it requires face to face interaction. Tarot cards can be used too. Although often regarded as a form of entertainment, Tarot cards are actually a tool for divination. Psychics can tell your future based on the outcome of the cards. Each card would have a different meaning, but the interpretation will depend on the particular combination of cards plus individual factors. Those are just some of the most common forms of psychic reading. Now that you are familiar with them, it would be easier for you to select which form would you be more comfortable with. Psychic reading will help you in making life changing decisions. It provides insights on how to deal with your problems, and it enables you to learn a little bit more about yourself. Contrary to popular belief, consulting with a psychic isn’t supposed to cost a fortune. 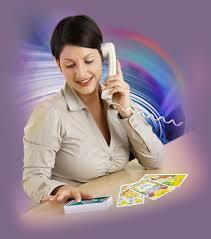 Don’t worry because cheap psychic phone readings are available to help enlighten you. Have you ever experienced consulting a psychic before? What can you say about the experience? A lot of people go to a psychic expecting to go home with a definite answer. Some prefer to call a psychic to make decisions for them. These are only 2 of the common myths about psychics. It is true that psychics can provide a lot of insight to help you make life choices. But certain misconceptions have to be cleared so that you can make the most out of your psychic consultation. What paths can you choose from? The first myth is that psychics can access your mind. 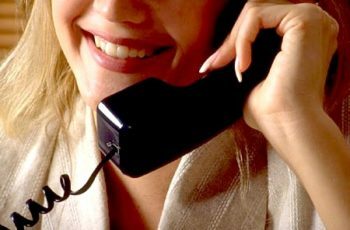 You don’t call telephone psychics and expect them to know exactly why you are calling. If you do, chances are you won’t get the answer you are expecting. Psychics can’t read minds, nor can they figure out what you are thinking. However, what they do have is a strong sense of empathy. This enables them to evaluate your state of mind and pick up your emotions. Even the least emotional person would still unconsciously show signs of their emotions. Psychics can tell whether a person is happy, sad, nervous, or depressed based on these signals. Another myth is that psychics have the ability to see the future. This definition is far from reality. Everyone has the capacity to go down their own paths. A psychic assesses the situation and interprets your spiritual energy. Thus, when a psychic tells you something about the future, he is actually telling you what will happen if you act with your current mind set. In a way, it is similar to reading the direction which you are going. Psychics can provide a lot of insights and valuable advice to help lead you to the right path. The psychic will show you the different paths that are laid down ahead of you and tell you the corresponding destinations. But at the end of the day, it is still you who will chose which road to take. Can some curses be lifted and are there even curses? Some people think of psychics as individuals who have supernatural abilities. No, psychics cannot remove curses nor can they cast a spell on you. These ideas are no more than a product of superstition. In reality, psychics can help you deal with negative emotions or thoughts that weigh you down. An accurate phone psychic reading can do the trick. Psychic readings can reveal the true nature of a problem. In a way, it is like letting the psychic take a peek at your inner thoughts. The whole experience enables you to learn more about the situation. The psychic may also discuss possible outcomes should you make a certain decision. Yes, psychics can’t read minds. But psychics can actually help you learn more about yourself. They let you discover new things about yourself. Perhaps these are things you always thought you had but no friend has ever bothered telling you. Looking at you from a third person’s perspective, psychics can show you a different side of yourself. They may stress out weaknesses that you are too afraid to face.